Luminaries will light the way as you ski the mile and a half round trip. If you prefer to walk, that's okay, too. 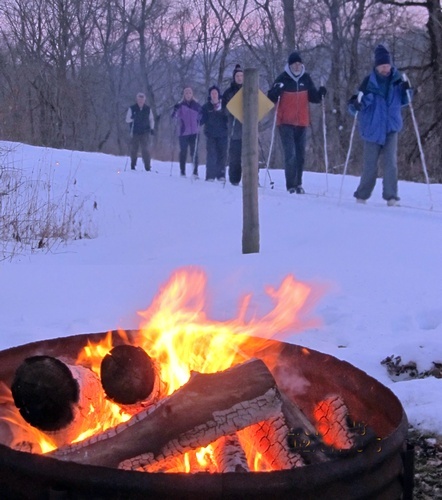 There will be a bonfire at each end of the trail to warm you up. Enjoy a soup & sandwich supper (5 - 7pm), or until food is gone. Food is purchased a la carte. Event is sponsored by the MN DNR and the Whalan's Ladies Legion Auxiliiary. A DNR Ski Pass is required, if you ski. It can be purchased on the DNR's website. A DNR Ski Pass is required.